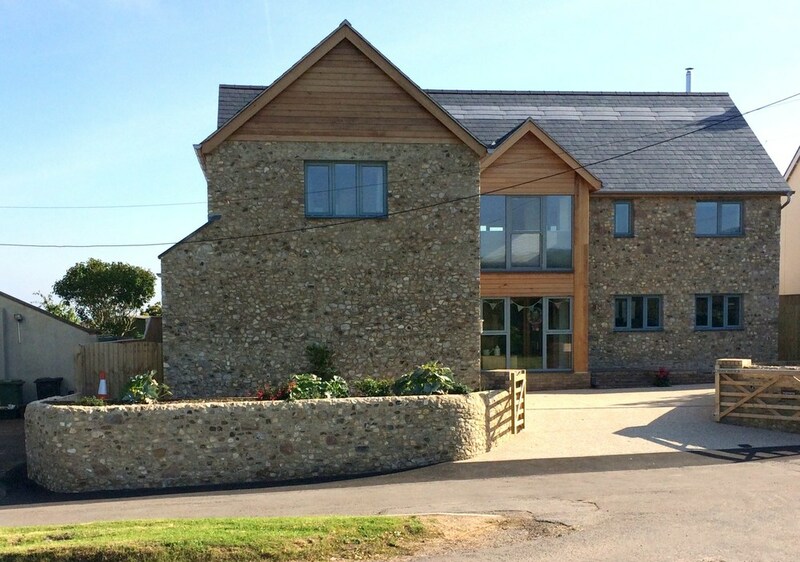 Built on the site of a 1960’s bungalow, the finished and wholly satisfactory new build is a super insulated, environmentally friendly, timber framed, near “passive house”, with a unique design, blending traditional local stone and timber with new modern technologies. 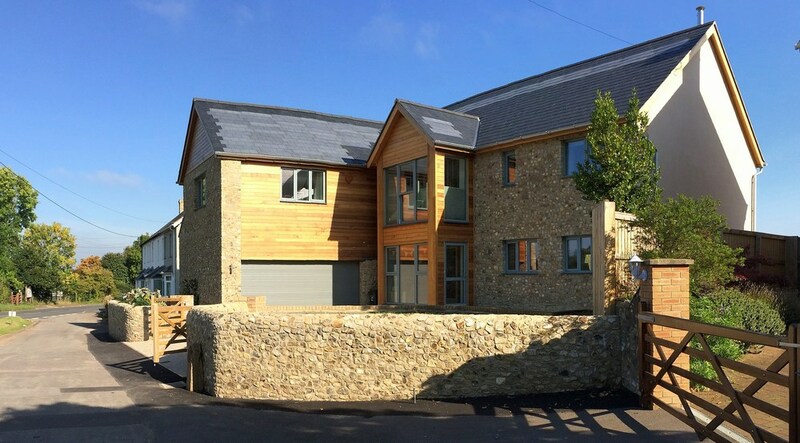 The roadside elevation is clad with Devon Churt (the local stone), and cedar panels and has highly efficient timber windows merging the house into the local vernacular. 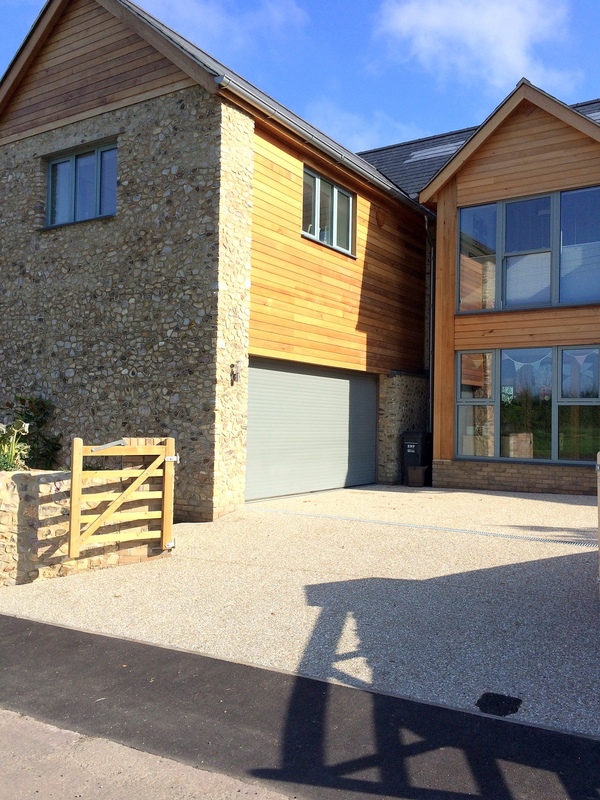 Whilst the rear is more contemporary in form with large aluminium windows overlooking the stunning views, and self coloured render walls. This was a project from scratch. From first finding the site, achieving planning permission in a sought after village, demolishing the original bungalow, and then construction with a self-build warranty. 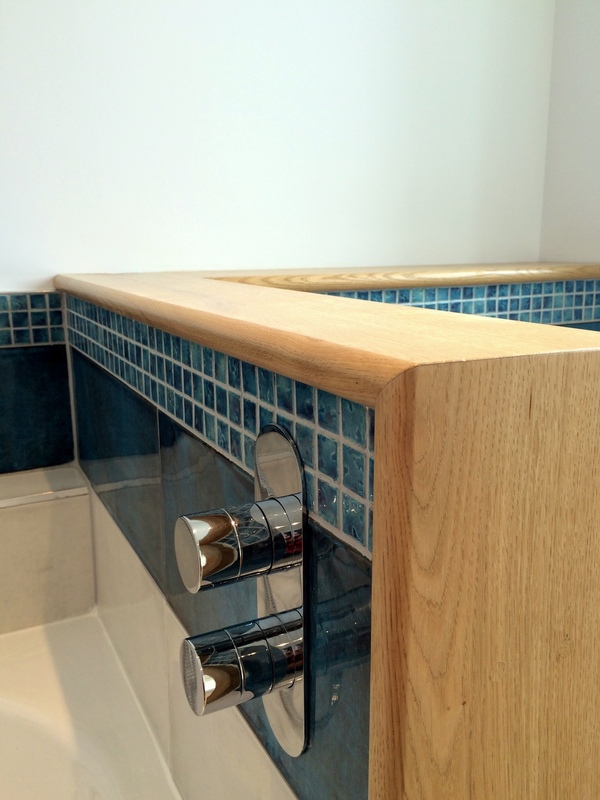 Many of the stripped out goods and fittings were reused or sold on adding to the lower footprint of the development.